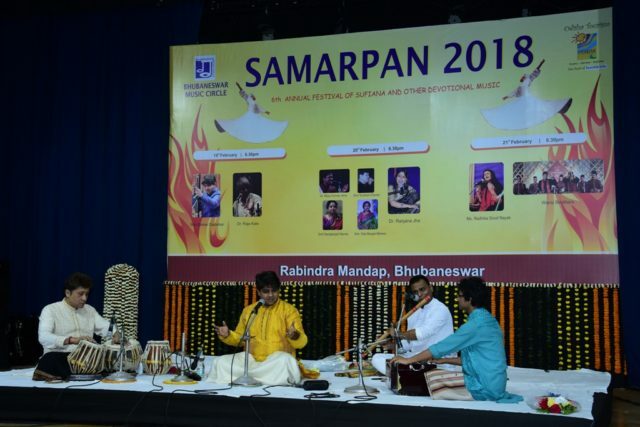 Bhubaneswar: The 3-day long festival of Sufiana “Samarpan” organised by Bhubaneswar Music Circle kick started today at Rabindra Mandap, Bhubaneswar. Sufi Music is arguably one of the best known mystical forms of devotional music. Having its origin in modern day Iran and Afghanistan, Sufism spans almost half the world from the plains of Africa to the eastern coast of India and onward to Indonesia. Last presentation of the evening was Shagun & Nirgun – Sufi Musings by Dr. Raja Kale, initiated into Music by his father Prabhakarrao Kale, Pt. 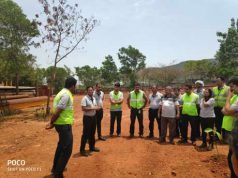 Rajararn (Raja) Kale received further training from Pt. Uttamrao Agnihotri and the legendary Pt. Jitendra Abhisheki. He also received valuable guidance from Pt. C. P. Rele and Pt. Balasaheb Poonchwale of Gwalior Gharana. Pt. Raja Kale presented a selection of Shagun and Nirgun Bhajans. Shagun traditions believe in the Material form of God, whereas Nirgun tradition believes that the Almighty is formless. He was accompanied by Harmonium – Shri Shyam Sundar Joshi, Pakhawaj – Shri Satchidananda Das, Tabla – Shri Sarat Pani and Manjira – Shri Arup Das. The dignitaries who graced the occasion were Abasara Beuria, Shri Ashok Kumar Tripathy, Mahendra Mishra and Shri Khirod Patnaik. The programme was compared by Dr. Sangeeta Gosain, Dr. Adyasha Das and Isha Mishra. Previous articleWill Bijepur set the tone for next Odisha assembly election in 2019?